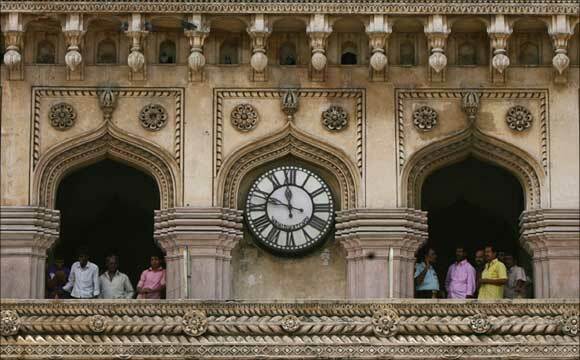 Which are India's most competitive cities? The City Competitiveness Report 2011 -- unveiled by an international think tank, Institute For Competitiveness (IFC) -- aims to answer this question. The India City Competitiveness Report 2011 is based on the 'Microeconomic Diamond Model' laid down by management guru Michael E Porter and focusses on 'Strategy and Competitiveness'. The core of the model -- competitiveness -- is founded across the four pillars: Factor conditions, demand conditions, context for strategy and rivalry, and supporting and related industries. These four pillars are interlinked and instrumental in determining overall competitiveness. New Delhi, the capital of India, has once again emerged as the top metropolis in the country and retained the title of the most competitive city in India. Delhi pipped the financial hub Mumbai and IT hotspot Bengaluru to grab the top slot in the annual survey conducted by the Institute For Competitiveness (IFC). This can be attributed to the fact that Delhi is continuously evolving as well as growing in order to satisfy ever-changing and growing needs. The growth and progress under some parameters is remarkable and if Delhi continues to keep the pace then it may remain unbeatable for some time to come. For instance, Delhi's physical infrastructure, its demographics, some business dimensions are its strongest points. In addition, its proximity to the cities like Gurgaon and Noida lend it a big advantage. 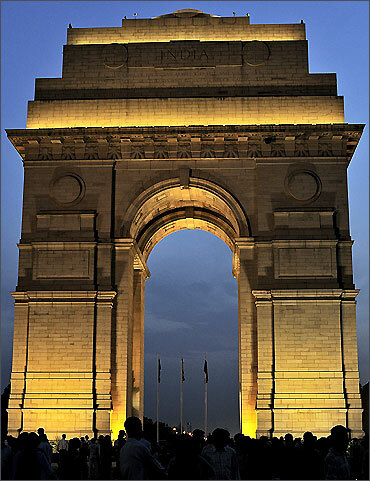 Incidentally, Delhi on Monday completed 100 years of its emergence as the capital of the modern India. Delhi was proclaimed as the capital of British Raj on December 12, 1911, shifting from Kolkata, by then Emperor of India George V thereby returning to the historic city its lost glory. 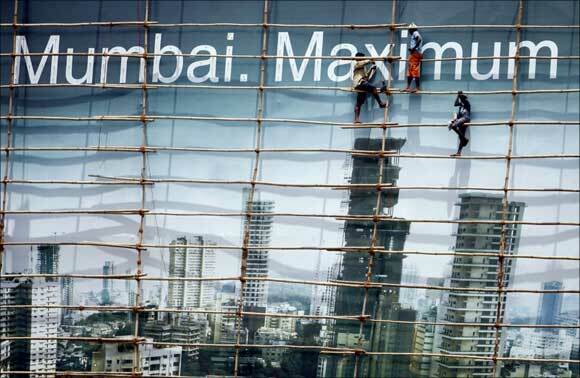 Mumbai is the second most competitive city in India, according to the report by Institute for Competitiveness. 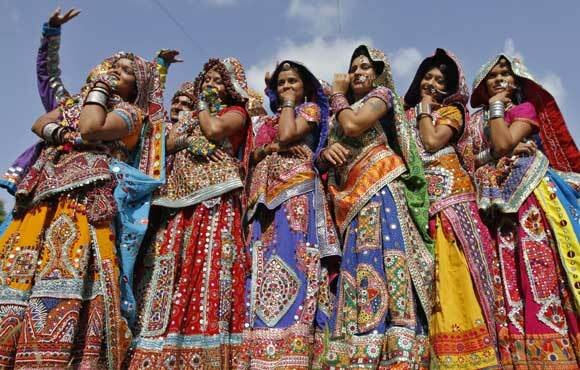 It is the second most populous city in India, and the fifth most populous in the world. The financial hub of India, Mumbai attracts people from all over India. The report supports the evidence that the metropolitan cities -- Delhi, Mumbai, Chennai, Kolkata, Bengaluru and Hyderabad -- are still the prominent competitors in the list of top 10 most competitive Indian cities. If the trend is analysed in the Competitiveness Index 2011 then it is exhibited that Bengaluru has jumped one spot up to the 3rd rank. 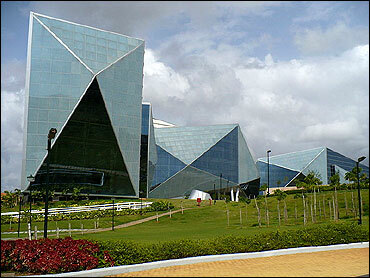 Bengaluru is well known as a hub for India's information technology sector. Despite the ranks, India's cities are still way behind cities in the developed world. Though Indian cities should not try to imitate the model of other foreign cities and instead grow uniformly in a sustained manner, complimenting their own inherent strengths. They need to move from factor-driven competitiveness to efficiency-led and finally innovation-led economies. One of the key derivate from the report is government and the residents of the city should actively participate in mapping the strengths and working towards creating competitive advantages. Last year, Pune was the 8th most competitive Indian city, but has leapt to the 4th spot this year. The eighth largest metropolis in India, Pune is also the second largest city in Maharashtra. The metros are followed by cities which are fast catching up and creating a mark on the map, such as Pune, Ahmedabad, Jaipur, etc. Pune witnessed an upward movement in its position and has shown significant improvement in the areas of innovation, communication, competitive intensity and diversity in between the firms thus standing high to cater the education and business related masses. 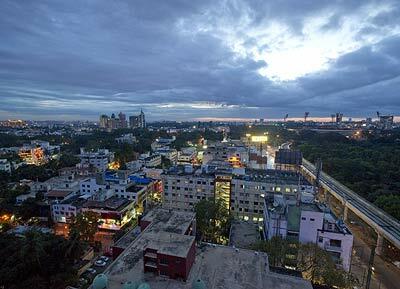 Chennai saw a drop of three positions in competitiveness this year and is ranked at the fifth place. 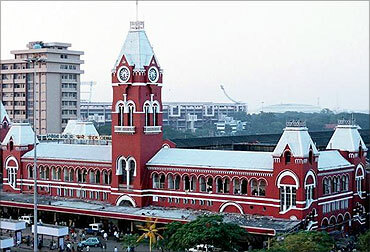 Chennai is the sixth most populous city in India. The report said it was surprising to note that Gurgaon figured in the list of the top 10 competitive Indian cities, at the sixth position, despite holding low scores in the administrative and human capacity. Gurgaon is the one of the most-preferred cities in India for entrepreneurs. Gurgaon has in the last few years received huge amounts of foreign direct investment, especially in the ITeS sector. Gurgaon was ranked as the best city in India to set up a software unit or a BPO centre. 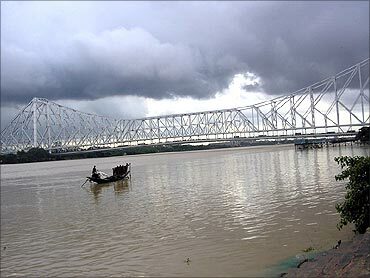 Kolkata is India's 7th most competitive city. 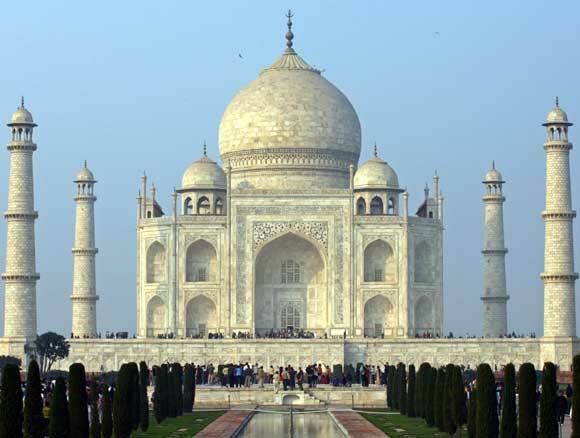 Capital of West Bengal, it has a population of over 15 million. 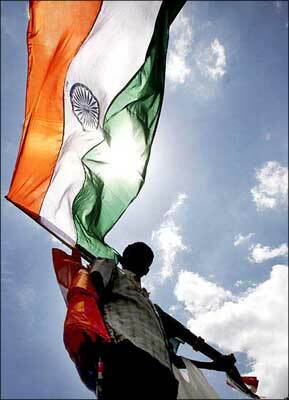 Like its many other metropolitan cousins, Kolkata suffered from economic stagnation in post-independence India. However, since 2000, the city has witnessed an economic rejuvenation, thanks to the development of IT industry in Rajarhat in Greater Kolkata. The city's IT sector is growing at 70 per cent yearly -- twice that of the national average. With an overall competitive score of 64.94, and an infrastructure score of 63.03, Kolkata is 5th. The city has seen a surge of investments in the housing infrastructure sector. Several new projects have come up in recent times. 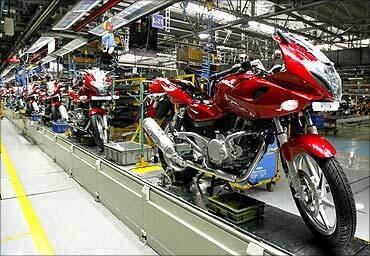 The India City Competitiveness 2011 uses hard data that is published by the Government of India. The data is derived from reports, published articles, etc. of the various ministries of India, government-funded research organisations and other reliable sources. It also eliminates the possibility of sampling error or other related faults. Hyderabad, one of the largest metropolitan cities in the country, is the 8th most competitive Indian city. South Indian cities such as Thiruvananthapuram, Kozhikode and Visakhapatnam have witnessed an upswing in competitiveness rankings by surpassing various upcoming North Indian cities. 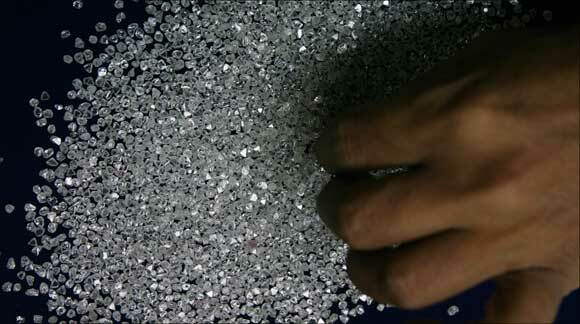 Ahmedabad, the financial capital of Gujarat, is India's 9th most competitive city. 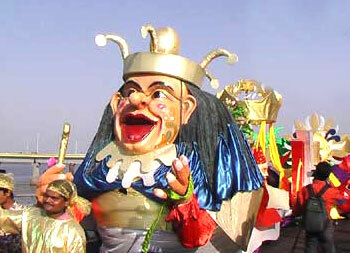 It is the seventh largest metropolitan area in India. In 2010, Forbes magazine rated Ahmedabad as the fastest-growing city in India. It is the largest inland industrial centre in Gujarat and has been an important base of commerce, trade and industry. Ahmedabad has seen great prosperity because of its proximity to Surat and its access to the hinterland of Gujarat. A wide developmental gap exists between the north and south. Jaipur maintains its position by stabilising its overall growth and is placed at the 10th spot. 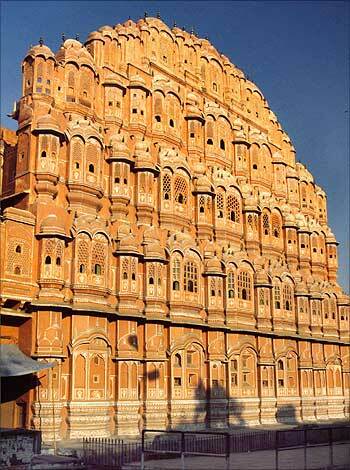 The capital of Rajasthan, Jaipur is one of the finest planned cities of India. NOIDA, a city included in the NCR (National Capital Region), has proved that it has huge potential by itself and is pegged at the 11th spot in the City Competitiveness Index 2011. The report states that there is a huge potential in the Tier-2 and Tier-3 cities. What is required is to tap into potential so as to explore aspects of these Indian cities they can provide the distinctive advantages to them in terms of competitiveness. The 13th most competitive Indian city is Nagpur. Nagpur's location at the center of India has earned it to be an important growth centre in industry and key logistics base for supply chain investors. It is the 27th fastest growing city in India and the world's 114th fastest growing urban centre. The city is ideal for business in education, banking, food manufacturing, and logistics. 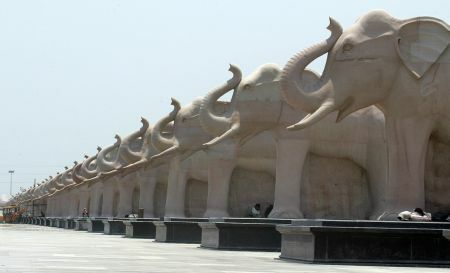 It is also central India's largest trade and cargo hub. For change to happen, cities will have to invest heavily in improving infrastructure and physical support systems. Kochi has been ranked India's 14th most competitive city. It has been ranked third in education and health facilities. However, it falls in safety, housing options and economic environment. 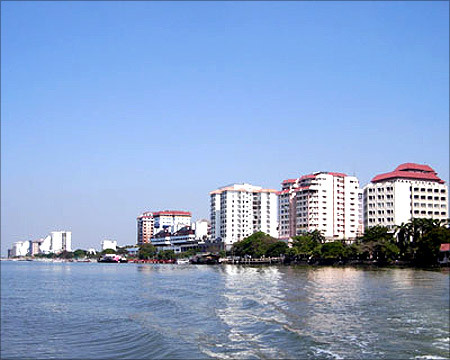 The 'Queen of the Arabian seas', Kochi is the second largest city in Kerala. 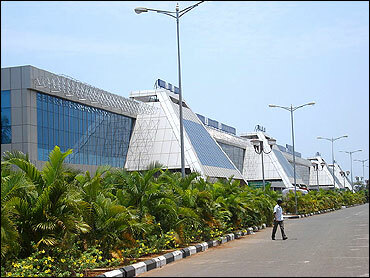 The commercial hub of Kerala, it also has one of the major seaports. Cities need to move forward on the path of competitiveness by planning and implementing an appropriate strategy addressing their respective strengths and weakness'. The capital of the states of Punjab and Haryana, Chandigarh is one of the best planned cities in India. Amongst the greenest Indian cities, Chandigarh however has slipped a bit on the competitive index from the 11th to the 15th spot this year. It is ranked 3rd in purchasing power, 4th in housing options, 8th in economic environment, 9th in education and 10th in healthcare. It falls in terms of safety at 29th position. Cities such as Mysore, Madurai, Lucknow, Goa, Bhopal, Ludhiana are considered to be moving ahead on the growth path and have improved immensely on the competitive index. 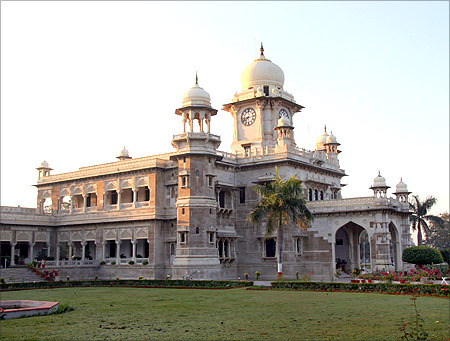 Vadodara is a big centre for pharmaceuticals, chemicals, cotton textiles and machine tools in Gujarat. It is also India's 16th most competitive city. The city is ideal for business in - education, industrial, petro, IT,Pharmaceuticals, cotton textiles and machine tools. Vadodara is gradually becoming a hub in Gujarat for IT and other development projects. The small towns of today will need to emerge as hubs of trade and business in the coming years. However, to ensure that they keep up with the growth, they will need to invest in physical infrastructure and urban services. Some of that is already happening. Over the past decade, many cities have changed sharply, improving the quality of life they provide. Thiruvananthapuram is India's 17th most competitive city. 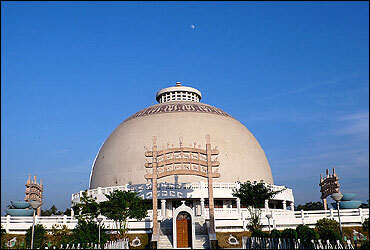 The city, called the 'Evergreen city of India' by Mahatma Gandhi, is a city built on seven hills. It is famous for its beaches, monuments and backwater stretches. 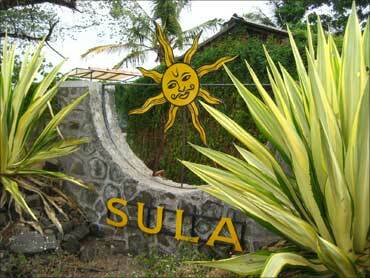 It is also a major destination for tourist looking for natural beauty and serene greenery. Nashik, the wine capital of the nation, is the country's 18th most competitive city. While Delhi, Mumbai and Bangalore are known globally, much needs to be done not only to improve the competitiveness of these cities, but also to create awareness to attract investment. It is also India's 19th most competitive city. With a competitive score of 57.04, Indore is 20th in the ranking done by the IFC. 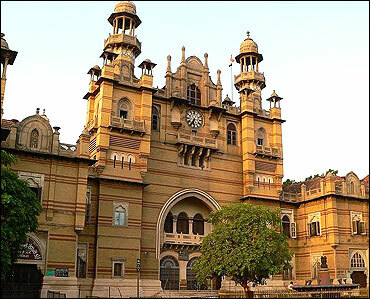 Indore is a fast growing city in Madhya Pradesh and a major business centre in central India. 'Competitiveness has the power to transform India's urban landscapes and we owe it to ourselves as a nation to use this power to become truly competitive, starting with our most fundamental units of change, our cities,' Kapoor added. 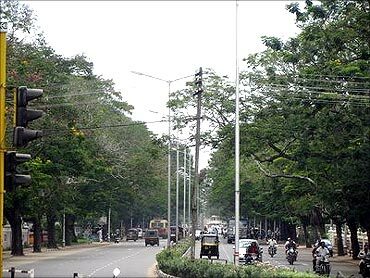 Kozhikode, the 21st most competitive Indian city, is the third largest city in Kerala. One of the major commercial centres, the city has developed at a fast pace. 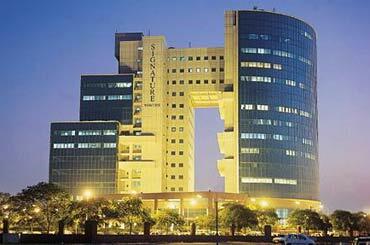 It is ranked first among the 37 cities in India for the best healthcare and medical facilities. 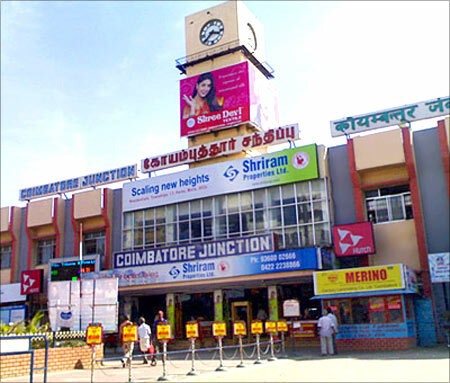 Coimbatore houses a large number of small and medium texitle mills, and is a major centre for auto components, pump manufacturing and also ITeS firms. It has been ranked India's 22nd most competitive city. 'The need of the day is to cultivate these smaller Indian cities, wherein lies the potential of the country and it is then that we would see the country grow higher and sustain the growth,' added Garg. 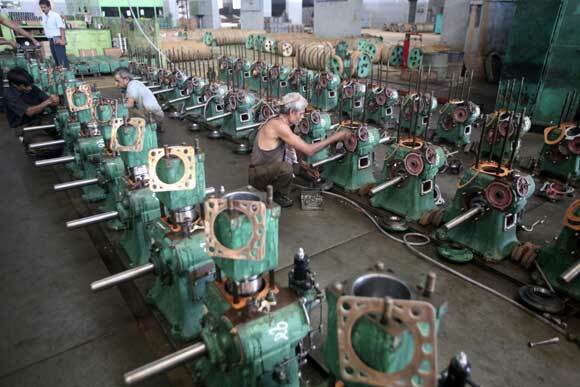 Lucknow, the capital of Uttar Pradesh, is home to many a huge manufacturing and industrial unit. It is the 23rd most competitive Indian city. Lucknow is not only a major market and trading city in northern India, but is also an emerging hub for producers of goods and services. Mysore, India's 24th most competitive urban area, is a sedate and characteristic city with potential to blend its cultural, educational and industrial background to give a fillip to knowledge industry. Planned as part of a proposed Japanese industrial corridor, starting from Chennai via Bengaluru, Mysore ideally can be an investor's paradise for high speed transport like the bullet train. It is ideal for business in education, tourism, small scale industry, IT, research, and silk. India's tourism hotspot, Goa is among the top ten liveable places in India. It is also India's 25th most competitive city, with tremendous potential for improvement. Goa is ranked at 4th position in terms of socio-cultural political environment, purchasing power, 7th in healthcare facilities and 13th in education. It scores low on safety and economic environment. On the other hand cities that are seeking for new opportunities are Vijayawada, Agra, Patna Varanasi, Guwahati, Allahabad, Amritsar that should be nurtured further to extract the required result. Vishakhapatnam with an overall competitive score of 55.48 has been ranked the 26th most competitive city in India, followed by Kanpur (score 55.48) at 27th, Bhopal (score 55.45) at 28th, Madurai (score:55.44) at 29th and Ludhiana (score:55.35) at the 30th rank. Vijayawada (score:55.32) stood 31st, Agra (score:55.12) at 32nd spot, Patna (score:54.87) is at 33rd rank, followed by Allahabad (score:54.62) at 34th and Bhubaneswar (score:54.59) at 35th spot. 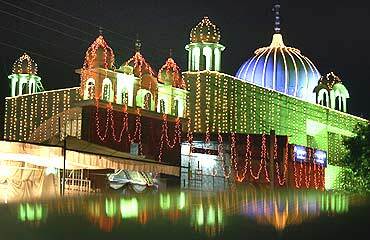 Amritsar (score:54.46) is the 36th most competitive Indian city, Meerut (score:54.06) 37th, Varanasi (score:53.91) 38th, Puducherry (53.84) 39th and Guwahati (score:53.65) 40th, according to the report. Asansol (score:53.63) has been ranked 41st in the list of the 50 most competitive Indian cities, while Jammu (score:53.62) is at 42nd, Shimla (score:53.59) at 43rd, Dehradun (score:53.58) at 44th and Srinagar (score:53.09) at 45th spot. Jabalpur (score:52.72) is the 46th most competitive Indian city, Ranchi (score:51.97) 47th, Faridabad (score:51.66) 48th, Jamshedpur (score:51.66) 49th and Dhanbad (score:50.97) has been ranked 5th.